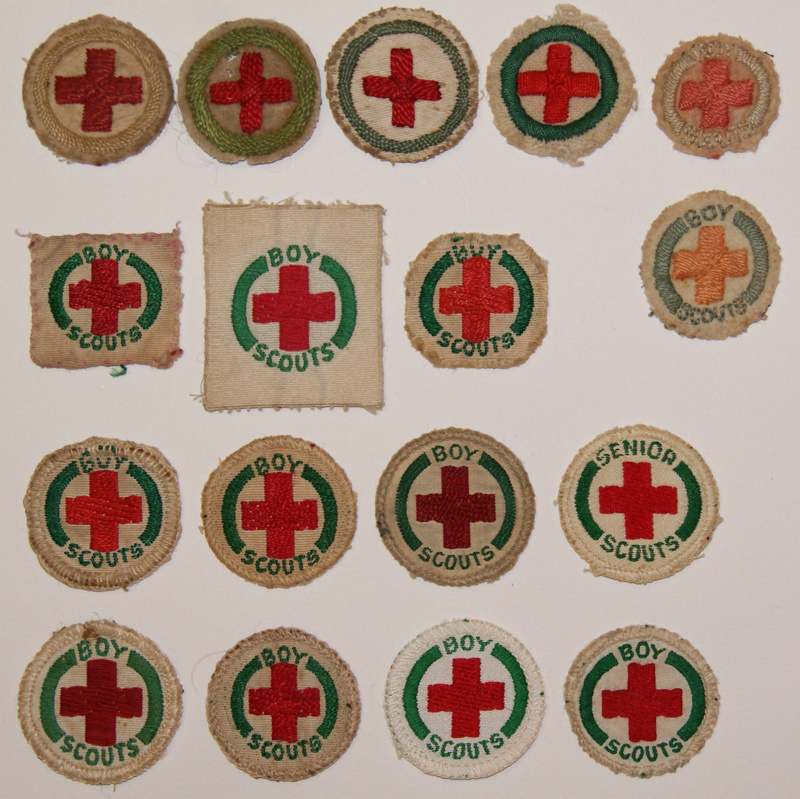 The Ambulance specialty proficiency badge was one that could be earnt by Scouts and in use from 1907 to 1967 both here in New Zealand and throughout the British Commonwealth. Initially it was available to all Scouts but in later years it was specifically for over 15 year old Scouts. When earnt 2 badges were presented and one was worn on each sleeve, in the centre near the top of the sleeve.This display of 17 examples vary in manufacture, materials, colour shades and titles, from handmade on felt unnamed, named on felt, woven on ribbon, and backed and bound.